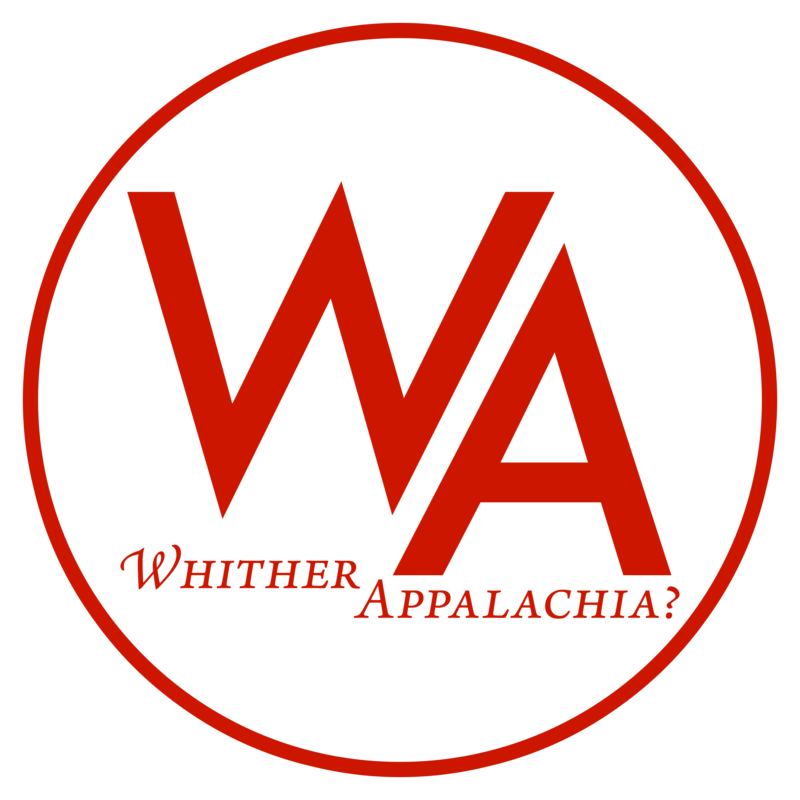 Class Prayer – Whither, Appalachia? Every prayer is a class prayer. Whether it is the “sigh of the oppressed creature” or a Sunday bourgeois chore, spirituality is a variant category across class boundaries. In the coal fields of Central Appalachia during the bloody peak of the region’s capitalist transformation the church played a multifaceted role as both a center of workers’ relief and a service to capital. The mountain church was at the same time a starting point for conscious revolutionary transformation, or attempt at such, and a hinderance to a fully developed revolutionary struggle in the service of the industrial capitalist. The church, in all denominations, enabled social struggle and stratification alike. In the end, the Protestant Ethic came to define the mountain homes like coal defines the hills. Initially coined by pioneering sociologist Max Weber in his book, The Protestant Work Ethic and the Spirit of Capitalism, the Protestant Work Ethic is the idea that the converted will live a frugal life of hard work and discipline. Emerging from Protestant reformer John Calvin’s theology, the Protestant Ethic does not teach that salvation is obtained via work(s); rather, hard work is considered a sign of genuine regenerative conversion experience. Whereas Catholics believe that good works help them earn their salvation, Calvinism teaches that humans have no role in their salvation, and that only those predestined by God will be saved through no merit of their own. The idea developed that it may be possible to discern who was predestined to salvation (or one of the elect) by observing their lifestyle. Consequently, the virtues of self-reliance, thriftiness, and above all, a capacity for manual labor began to be admired and cultivated in the emerging Protestant culture. This idea, with (nominally) different theological justifications, took root even among non-Calvinist Protestant denominations. Even John Wesley, founder of the Methodist church and vociferous opponent of the doctrine of Calvinist predestination, observed 100 years before Weber that their “diligence and frugality” allowed Methodists to grow wealthy. As the “princes and masters” of Martin Luther’s day were more than willing to use the new gospel to allow them to cement their power in a rapidly changing social landscape, so the capitalists were more than willing to use the legacy of Protestantism, not always anchored to religion, as either a carrot or a stick in a rapidly industrializing Appalachia. As Christianity at the root began with what Nietzsche termed a “slave revolt in morals,” but assumed its familiar institutional character beginning with the emperor Constantine’s edict of toleration, so Protestantism at its beginning contained something at least potentially subversive. Though much of the Protestant Reformation sowed the seeds for the Protestant Ethic, radical denominations were scattered across the European continent. Some, such as the Anabaptists, refused to take oaths, perform military service, or participate in civil government. The influence of the Anabaptists was so strong that the label was often used as a generic name for the various radical Protestant currents. These offshoots of Protestantism played an active part in many insurrections, the most famous being the German Peasants’ War. Thus, in coal fields of Central Appalachia, the Protestant Ethic and its spirit also provided the toiling miner a sense of vindication against the operators and capitalists. The capitalist class, in spite of the miners’ endless commitment to labor, was negligent of the needs of the workers in the face of mental and physical degradation and widespread extreme poverty. Belief in the redemptive power of Christ became necessary to clear oneself not only of sin and spiritual affliction, but also of the constant pressures brought to Appalachia by industrial capitalism. In a similar vein, the advent of industrial capitalist brought the Appalachian settler into the labor force which in turn redeemed the already established Protestant Work Ethic. In this sense, the “genuine regenerative conversion experience” became the backbone to Appalachian consciousness in the face of grinding wage-labor. The Pentecostal Christian, reserved and solemn during the week, would exit their repression on Sunday unknowingly in the service of reaction. The United Methodist workers could throw the duress of coal mining off their shoulders for one Sunday morning, eventually rising to transform their social conditions. The pious preacher would then take it upon himself to preach hard work at the bosses demands. All of this in the backdrop of the greater orchestra of class struggle. Most Baptist denominations adhere to a Calvinist soteriology, though some, such as the Free-Will Baptists, adhere to an Arminian soteriology which states that, contrary to the Calvinist belief in unconditional predestination to either salvation or damnation, anyone can be saved. Interestingly, the Primitive Baptist Universalists, colloquially called No-Hellers, press Calvinism so far that they believe that God will eventually save everyone. There is no Hell per se; rather, Hell is a temporal punishment for sins in mortal life experienced as a state of more and more profound separation from God. They also reject the idea of the Devil or Satan as a personal being; rather Satan is a manifestation of “natural man” or “the flesh” warring against “spiritual man.”2 An often-repeated Primitive Baptist Universalist saying is, “It’s Hell enough down here,”3 a remark that the drudgery of subsistence farming or a rapidly industrializing Appalachia proved to be no exaggeration. With the various outsider doctrines at hand in an industrializing Appalachia, mountain religion retained several distinct characteristics of its own. For one, salvation was the be an individual affair. No force took higher precedent than that of the holy spirit and its affinity to the individual consciousness. “Work out your own salvation with fear and trembling before the Lord” is a scripture frequently quoted in the Appalachian church, and certain morally ambiguous but not expressly forbidden practices are “between a person and God.” In this regard the Puritan and Calvinist doctrine of “self-reliance” is clearly evident. The Protestant Ethic then provides a pious excuse to bear any exploitation carried in Appalachia’s bloody industrialization which now comprises its regional mythology in the Appalachian consciousness. The church, a social center of Appalachian proletarian life, did as much to increase proletarian social cohesion as it did to solidify industrial capitalist power in the region. When Appalachian religion and class-struggle are used in the same sentence, the scene from John Sale’s Matewan, in which a young union preacher proclaims that Christ himself would join the union to a disapproving audience, could easily come to mind. The relationship between the two calls for us to look more critically at mountain religion, a conclusion that many anti-capitalists today seem apprehensive to draw. But in another sense, though it often replaced or hindered the development of radical politics, religion also enabled a sense of righteousness in the fight for social transformation in the region. Many questions of the history of Appalachia cannot be answered solely through investigation into this topic, but they can certainly be found there. Among what is often called the “Bible Belt”, the role that religion had played in daily life cannot be underestimated as simply another force of a superstructure. Even in the wake and ruin of the industrial past, as much of capitalist society secularizes, most in Appalachia still rely on a prayer, a class prayer nonetheless. For this, its nature must be unveiled and reckoned with free of any workerist mythology. 2 Howard Dorgan, The Primitive Baptist Universalists of Central Appalachia, known in the Mountains as No-Hellers” Unpaginated. 5 Lynn Dickerson. The Baptists of the Cumberland Mountains. Appalachian Heritage 3, no. 2 (Spring 1975). 64-65. 9 William John Bryant Livingston, Coal Miners and Religion: A Study of Logan County. Th.D. diss., (Richmond: Union Theological Seminary, 1951), 201-202. 10 Nathan Gerard, “Churches of the Stationary Poor in Appalachia.” In Change in Rural Appalachia: Implications for Action Programs, edited by John D. Photiadis and Harry Schwarzwellar. 99-114. (Philadelphia: University of Pennsylvania Press, 1971). 11 Richard Callahan Jr. Work and Faith in the Kentucky Coalfields: Subject to Dust. (Bloomington, IN: Indiana University Press, 2009). 175-176.